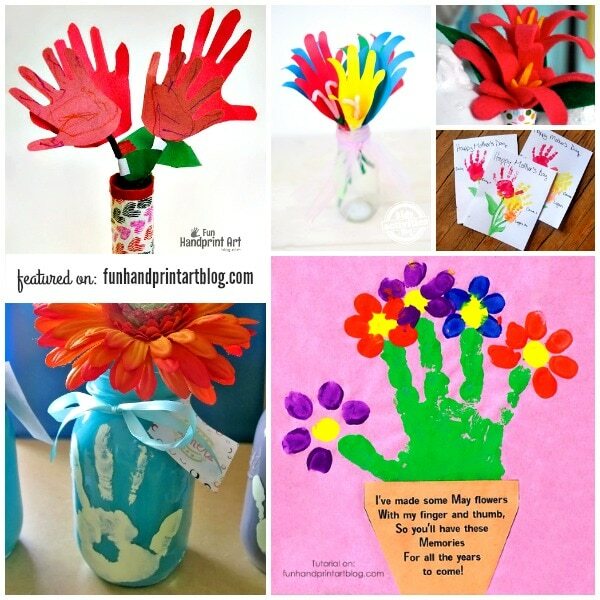 Handprint flower crafts, cards, decor projects, and keepsakes all make wonderful gifts for Mother’s Day. In today’s post, we are sharing 14 non-traditional ways to give mom flowers for her special day. You will find a range of pretty ideas such as handprint bouquets, vases, and flowerpots as well as cards and frameable artwork. 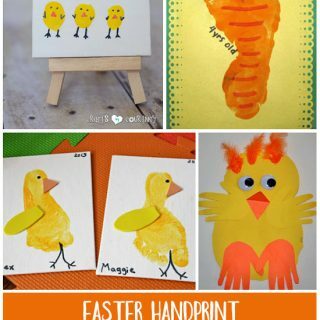 These also make cheerful Spring decor projects that the kids can help make. One idea that is a huge hit year after year is this fingerprint flowers in a pot craft with a cute poem – perfect for a Mother’s Day card! Head over to Kids Activities Blog to see how to make a bouquet of traced hand lilies perfect for a table centerpiece or check out the Duck Tape flower vase we made! I absolutely love these forever flowers from Kinder-Craze. They would look great hanging up in a frame on the wall where all can enjoy. She was inspired by this lovely painted hand bouquets from Trendy Tree House – I just adore the colors and everything about this craft. Mason jar crafts are popular these days so why not make these DIY mason jar vases featuring handprints? Christina’s Adventure’s shares a step-by-step tutorial for how she created these in her classroom. Make a rainbow painted pot with cute fingerprint flowers via WRAL. Let’s not forget about grandma! Make her a very special Grandma’s Garden Handprint Keepsake which can be made with one kids or all her grandchildren. Country Kids Farm shares a simple Mother’s Day flower card. For another sweet poem, check out this frameable flower keepsake from The Abundant Wife. Grab a free printable fingerprint flowers bookmark template from Rainbows within Reach for a simple and quick idea. 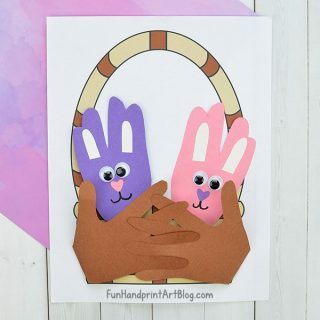 Another simple and MESS-FREE idea is to make traced hand flowers using a picture frame paper pad (affiliate link). Instead of the usual card, surprise Moms with a HAND-made apron gift via B-Inspired Mama or make her a HAND-made Mother’s Day corsage over at Little Bit Funky. If coming from Pinterest and can’t find the image you are looking for, it means that the blog/website which the craft was featured from has since been deleted or the post no longer exists. We hope you found lots of great ideas! 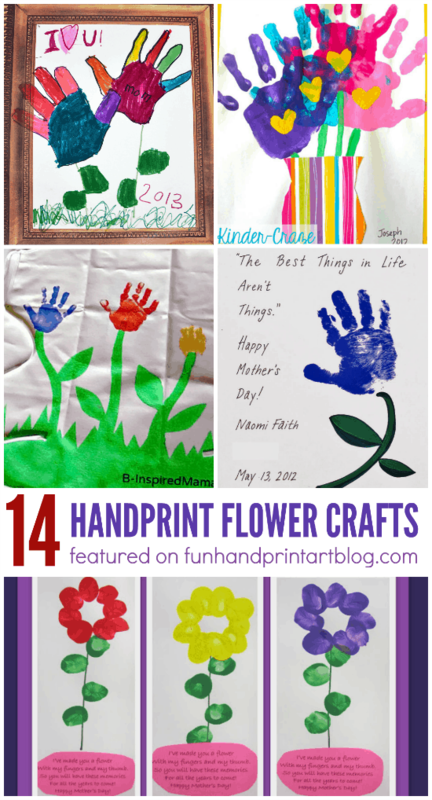 For more handprint flower crafts, check out part 2 with 14 more flower ideas made from little hands. Very nice! These will be great ideas for next year. Thanks for linking to Handmade Tuesdays.